September 11, 2012, 2:33 pm -- /EPR NETWORK/ -- Jamaica will host its first international food festival, The Jamaica Epicurean Escape (JEE), November 29 to December 2, 2012 in St Ann. The four-day event will include different types of activities at three different venues targeting different markets. It will kick off on Thursday 29 with a black tie dinner, an exclusive, high-end affair which will be catered by a team of Jamaica's best gourmet chefs and will be held at the UDC's (Urban Development Corporation) Roaring River Great House. Proceeds from this event will finance a foundation which will target the feeding of needy Jamaican children and will also support the development of young and upcoming chefs. On Friday 30, the action will be on Main Street Ocho Rios which will host restaurateurs and street food vendors against a backdrop of music and entertainment. The main event is on Richmond Estate in Priory, St Ann, from Saturday to Sunday and will host some 80 Jamaican chefs as well restaurants and food vendors. Miss McDonnough went on to explain that the Jamaica Epicurean Escape is being developed as an annual signature event that will harness Jamaica's culinary and cultural appeal and thus provides the ideal vehicle for promoting the island to foodies at home and abroad. To facilitate attendance an integral element will be a shuttle service that will ferry patrons from central points across the island to and from the event. In fact the JEE experience begins on entering the vehicle that will transport the guests. Karen Peart of Y Stress, the official concierge partner of the JEE who will also manage the transportation programme, noted that �driving long distances can be stressful and tiring so we believe that stress-free travel arrangements can only bring added value to our guests. There will also be special tour packages inclusive of hotel and tickets to the events, with special rates for Jamaican residents. �Patrons will be able to start booking these tours right away�, commented Miss McDonnough. �We have partnered with some of the finest hotel properties and attractions to package these tours which are available for three nights or four nights. Our current hotel partners are Cardiff Hotel & Spa, The Jewel Dunn's River and Runaway Bay, Sunset Jamaica Grande, RIU Ocho Rios, Jamaica Inn, and Mystic Ridge Resort, giving various offering various pricing options�. Tour packages can be found at http://tours.jamaicaepicureanescape.com. Ticket prices for daily entry into the main venue of the Festival will range from US$33 to USD$200 depending on the activity. While tickets will not be fully inclusive in all cases, all tickets will allow the patron some access to food. �We know that some persons will prefer to pay a price that's fully inclusive, while others prefer to be more conservative in their spending. We therfore thought that this model would offer a good compromise�, explained the organisors. 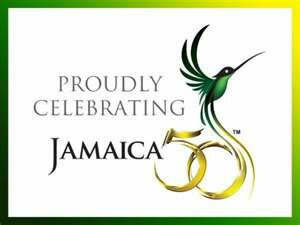 The event has received the endorsement of the Jamaica Tourist Board and is an official Jamaica 50th event. The HEART Trust will be partnering as a Premium Sponsor with the JEE team in the staging of the festival. The Jamaican Epicurian Escape offers something for every taste and budget.